Whenever I go to Bali, I fall in love. I’m referring, of course, to the island’s architecture and design. 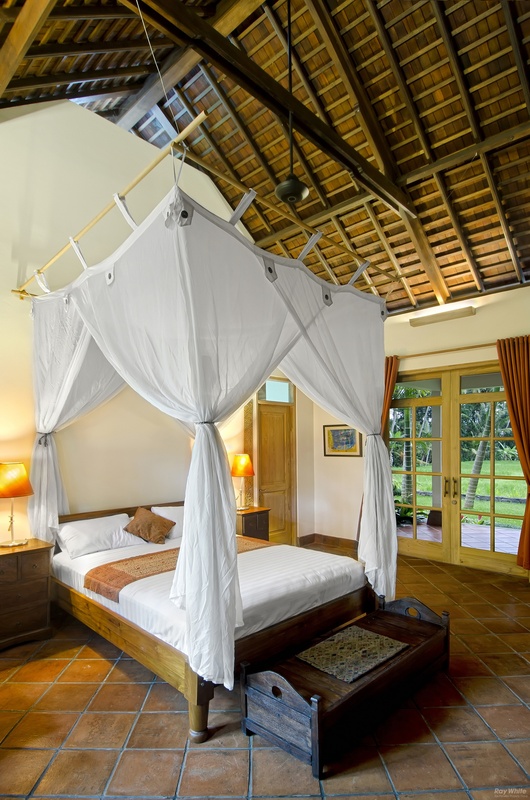 I actually stayed in the villa shown above that is located just outside of Ubud, one of Bali’s most popular tourist attractions. 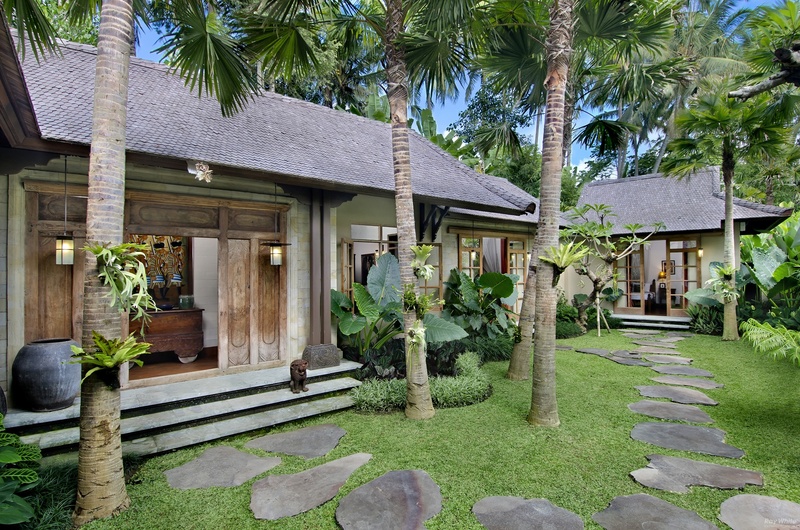 Bambu Indah is a complex of Javanese style homes constructed from bamboo and teak that sits on an elevated piece of land high above the rice fields of Sayan. It has a quaint village-living ambiance that makes you feel as though you’ve stepped back in time. 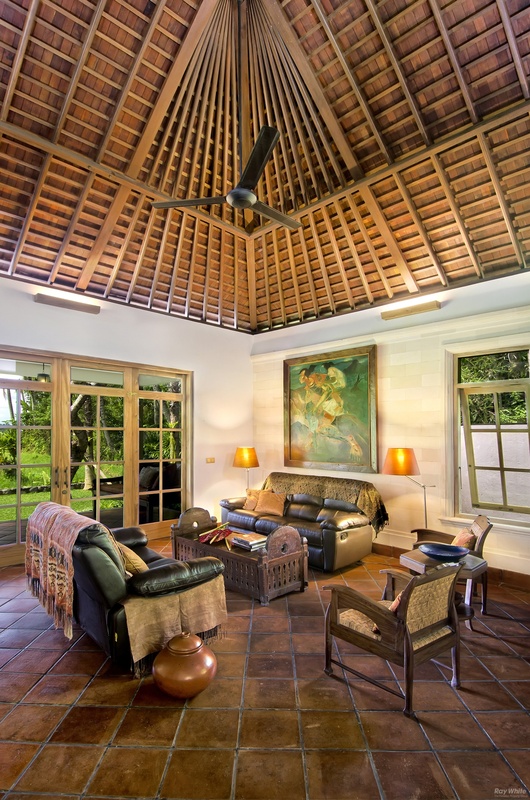 Each villa is unique and you’ll find design details that are old world and typically Balinese. 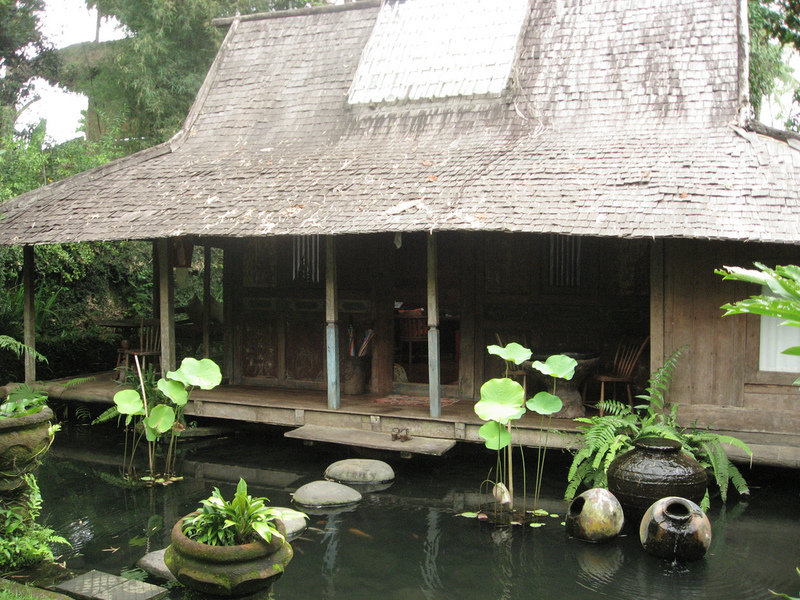 The phenomenon loosely termed “Bali style” has been the subject matter for countless books on art, architecture, and interior design — and for good reason. 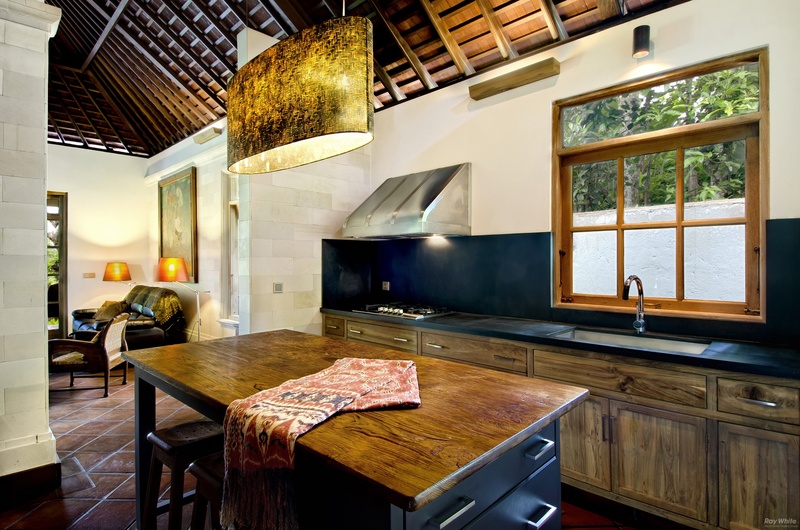 Check out this villa in Ubud. It’s for sale folks! You know those moments when you’re on vacation and you think to yourself, I could live here. And then reality sets in and you realize, that’s crazy talk. I live in <your country> and this would be ridiculous. It’s so far away and I need to live in my world with my crazy job and make crazy money so I can live in my world and go to my crazy job. How fantastic would it be to actually turn that crazy talk into reality? This, my friends, would be your living room. And here’s where you’d be cooking up some delicious rendang and mie goreng. 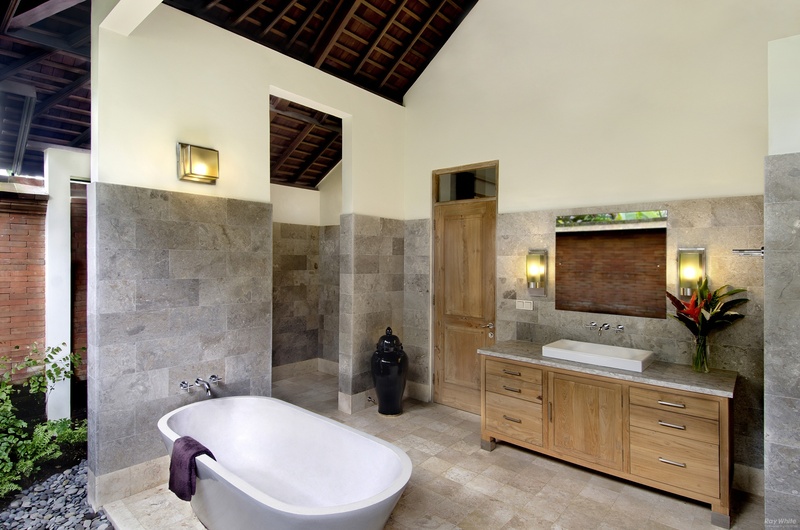 You can soak your feet in your outdoor tub…..
….and gaze at your gorgeous thatched ceiling when you get into bed. Not yet convinced? Here’s the view from the villa. This 2,300 square foot, 3 bedroom, 3 bathroom gem can be yours for $450,000 USD. 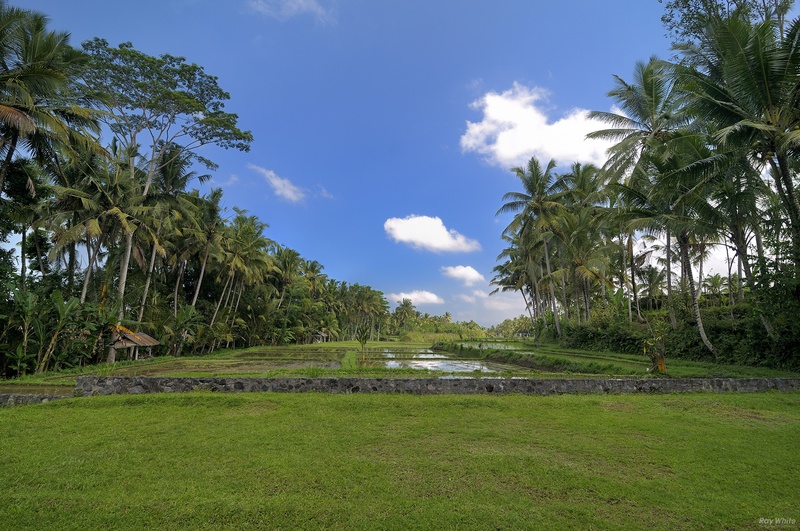 Here’s some information about foreign ownership of property in Bali. There are freehold (or Hak Milik) properties and leasehold (or Hak Sewa) properties. Foreigners are not legally allowed to purchase freehold properties. As a foreigner, you would basically be buying the house while leasing the property through a government-issued right of use permit (renewable every 25 years). The permit typically costs one percent of the purchase price. This doesn’t stop foreigners from buying up property on the island. There’s a saying that the second largest city in Australia is Kuta, which is one of Bali’s most popular tourist destinations. Funny eh, mate? I can actually joke about Australia and Australians by default of almost being an Australian citizen. My parents met and fell in love in Australia while attending college (or “uni” as they like to call it) and came close to making it their permanent home. Australians are indeed the biggest foreign buyers of property on Bali and I can’t blame them. With its rich culture, beaches, and stunning architecture, Bali has become a permanent home for many vacationers. I’d probably be part of this demographic as an almost-Australian citizen. Ready to take the plunge? Here’s the listing. Most of the photos provided by Ray White Property Group.